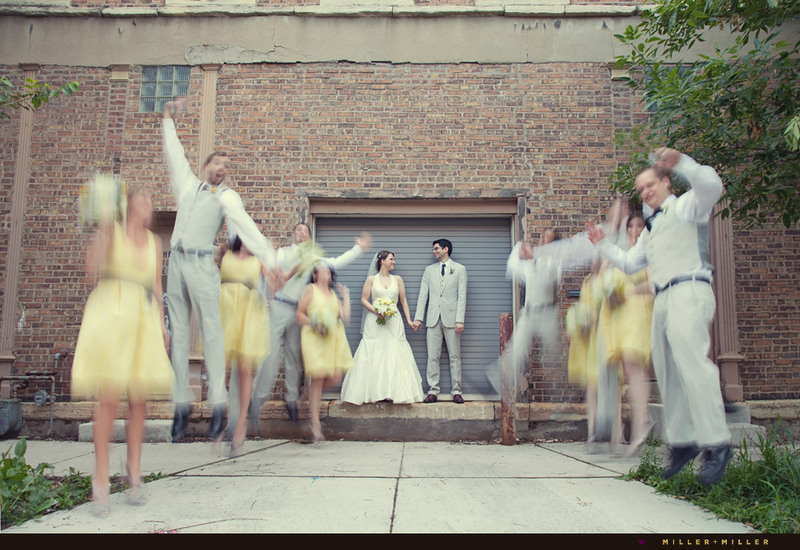 “Do you remember Julia + Shaun’s Spring, vintage Chicago engagement shoot we posted a few months back? 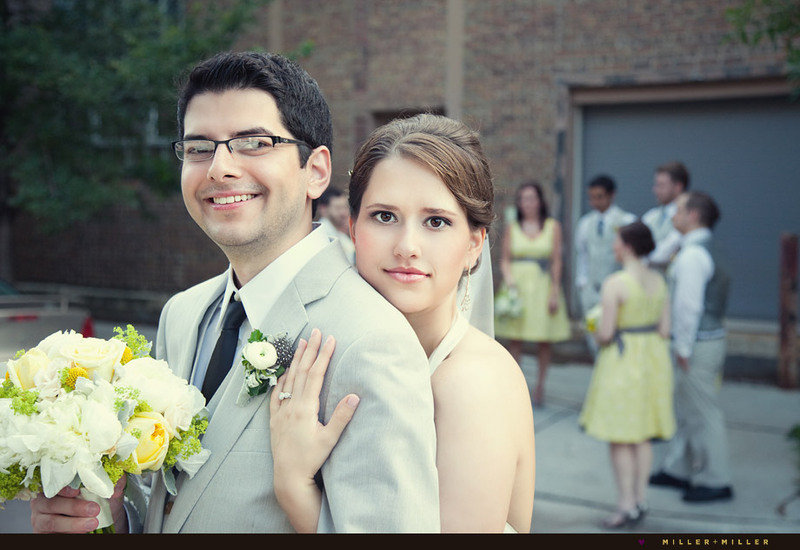 That was just a small taste of the vintage style these two had planned for their vintage decorated wedding day! 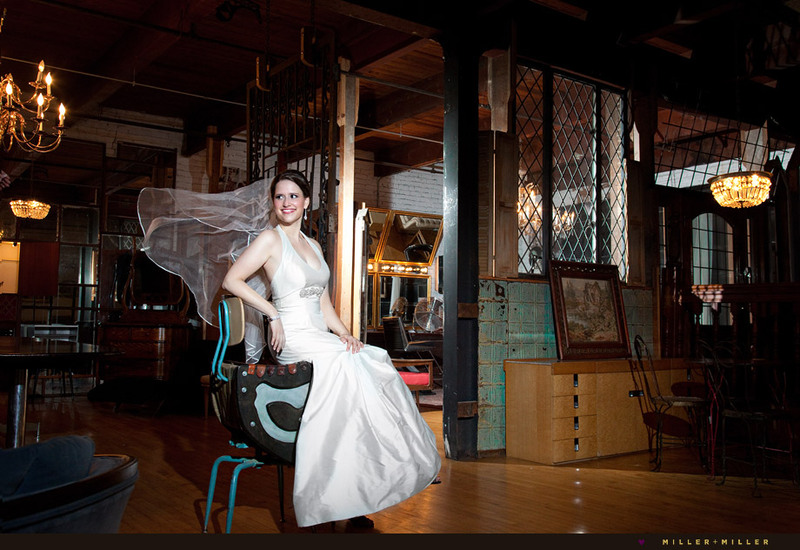 Wow, we… loved… this wedding, their awesome venue, and artsy unique style! 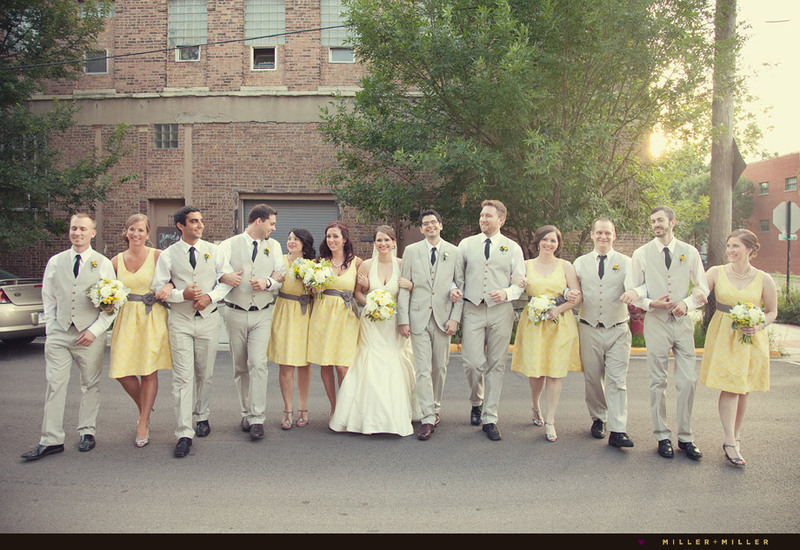 In gathering words to describe the awesomeness of this wedding, I could write a novel. 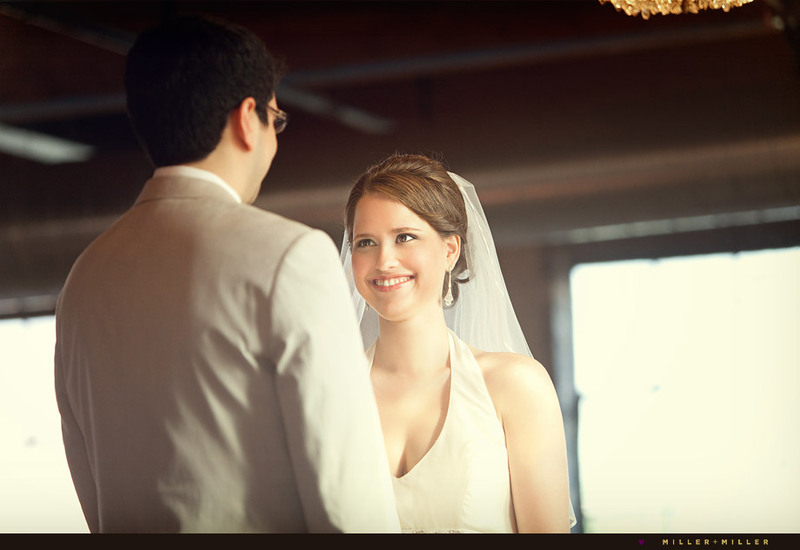 : ) As a little recap here are a few distinctive parts of our day with Julia + Shaun. 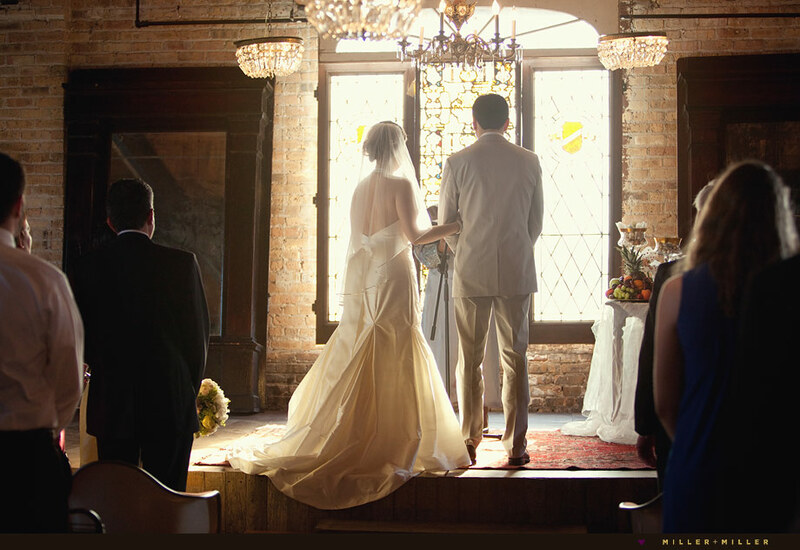 First, we loved the Chicago wedding vintage venues Shaun + Julia chose. 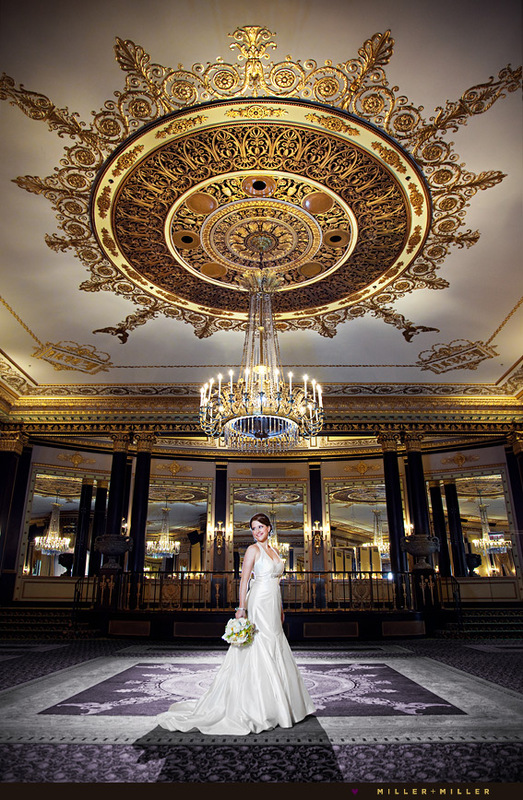 We spent some time when we first arrived on their wedding day with Julia at Chicago’s Hilton Palmer House Hotel, a world renown landmark hotel with French Baroque styling and metropolitan flair. 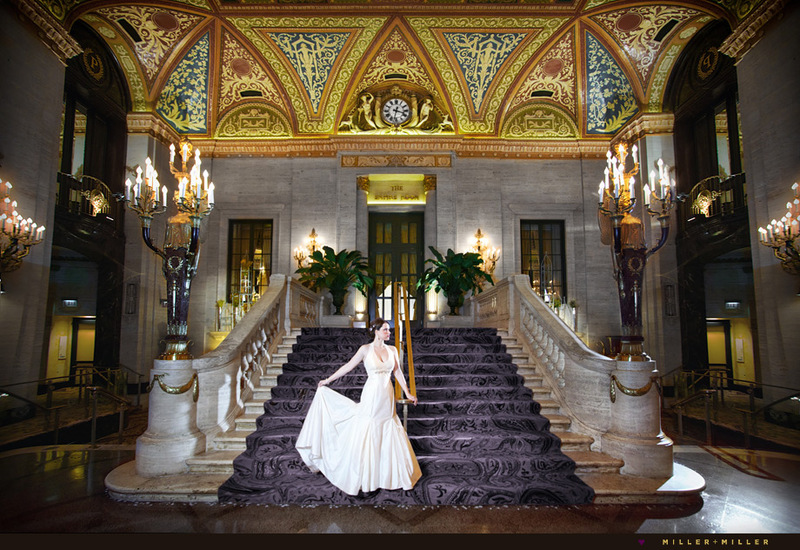 A historic, grand and beautiful Chicago hotel… one we recommend staying at for future brides on their morning of the wedding or in booking for a reception. 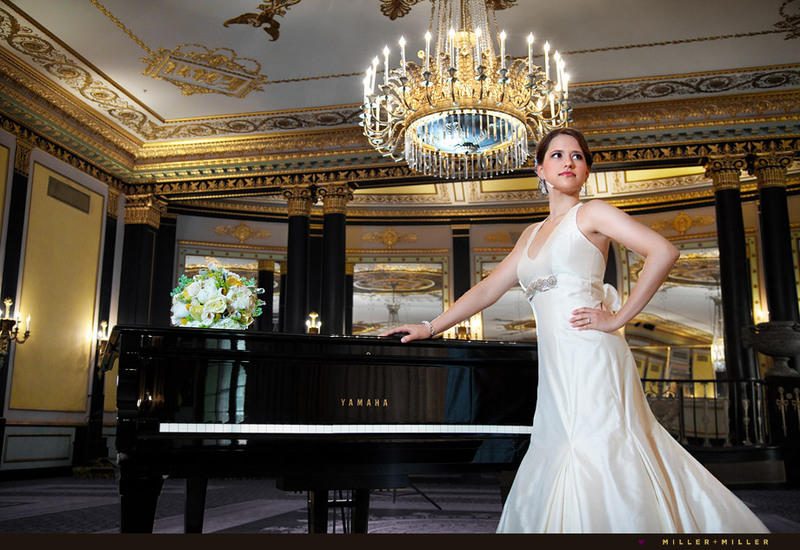 Julia, family members, and her bridesmaid ladies were finishing prepping and getting dressed at the historic hotel in one of their large suites with adjoining parlor room. 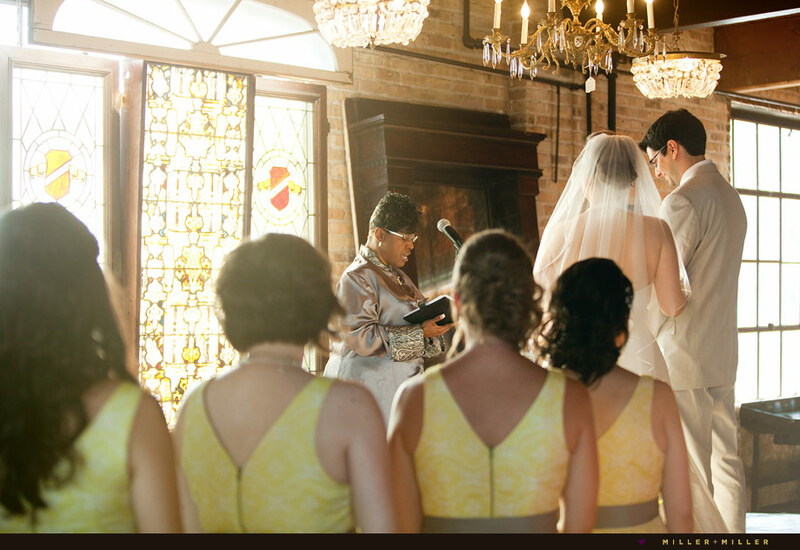 The room was unbelievable with touches of luxury and warm tones of gold, yellow and carmel colored leathers. 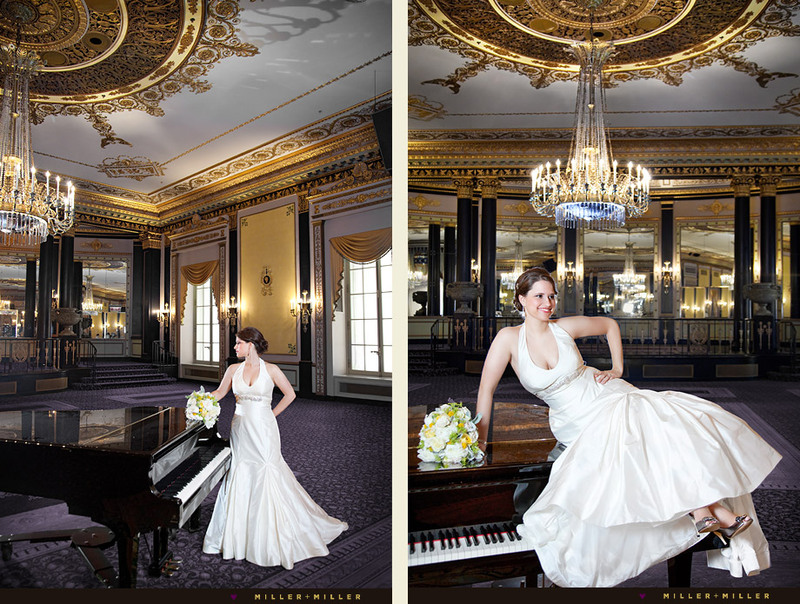 After Julia put her wedding dress officially on for the first time, both Ryan and I captured pre-ceremony bride wedding pictures of the glowing Miss Julia in the Palmer House Hotel Lobby and in the Palmer House Empire Ballroom. 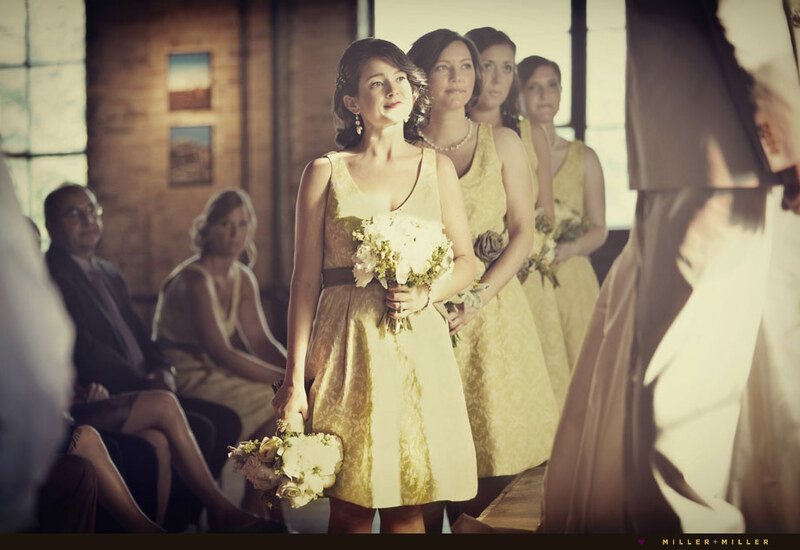 With the hotel complementing Julia’s yellow wedding color palette, she pre-planned continuity in selecting both venues. 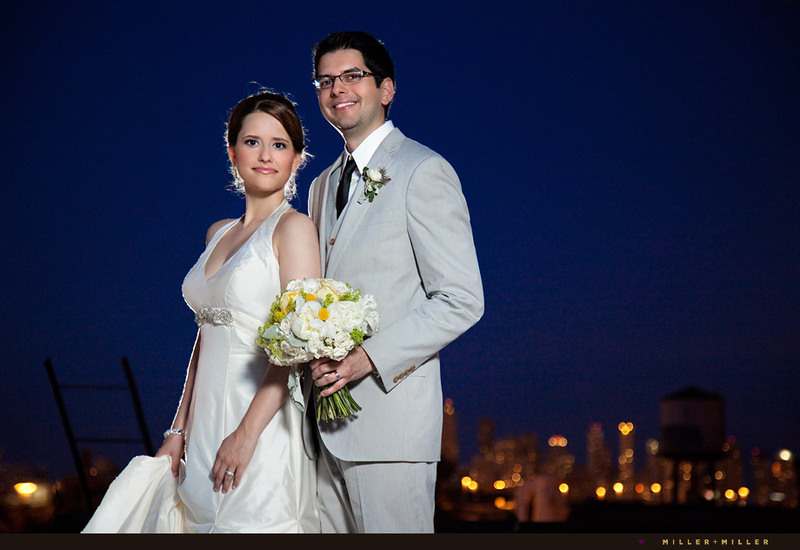 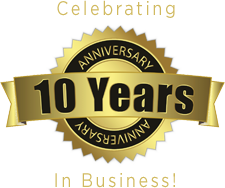 We love catering to each of our bride + groom’s wedding day distinctively, discussing and providing our Chicago wedding photographer services per each couples wedding day’s events. 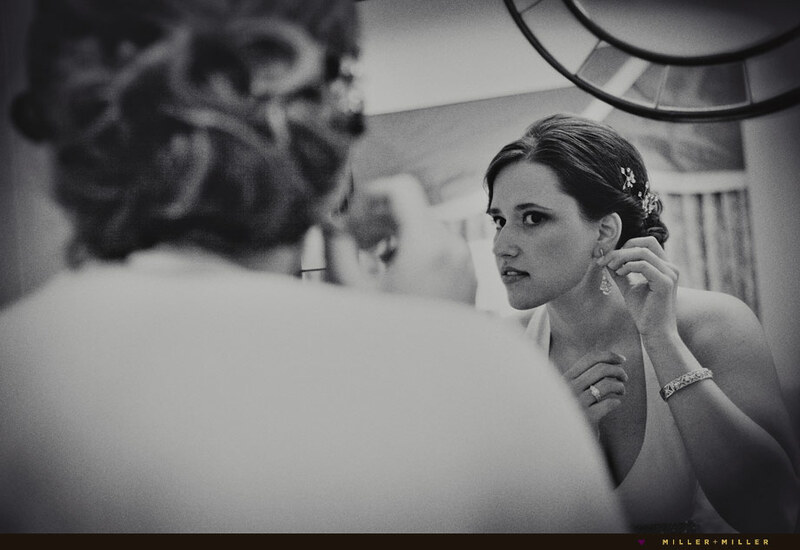 Starting the day with Julia at the hotel was a great idea… thanks Julia! 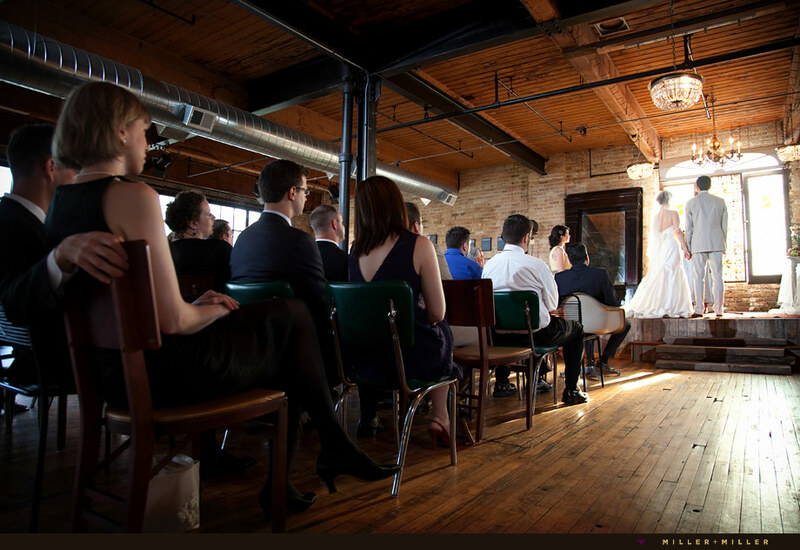 The second vintage venue of Salvage One, located in Chicago’s West Town Neighborhood is an unbelievable warehouse loft space where both Julia + Shaun’s ceremony and reception took place. 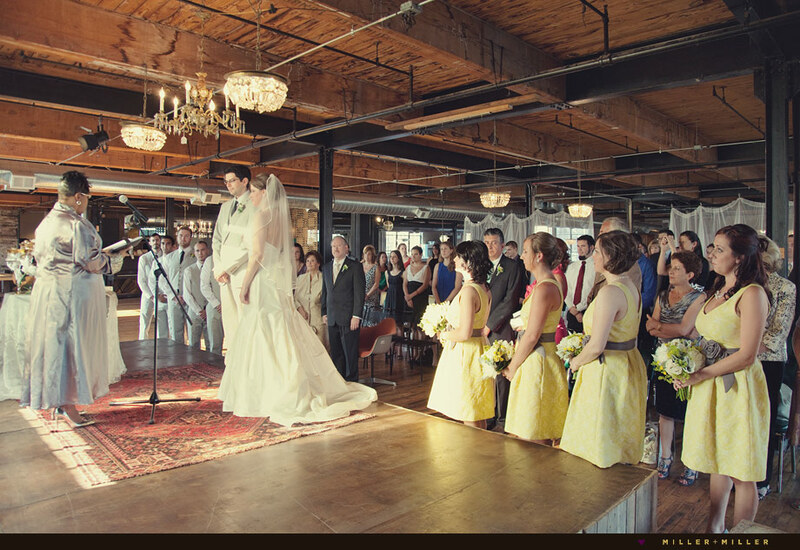 The ceremony was a mix of both Shaun + Julia’s family cultures and incorporated were a few traditional Persian wedding elements. 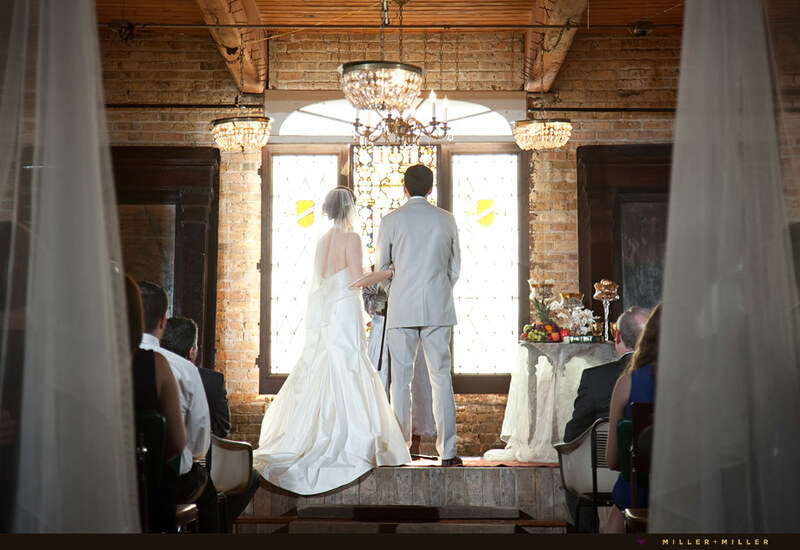 Their late afternoon summer ceremony proceeded in front of the west facing venue’s stained glass window, casting beams of sun, and a warm glow over their vows. 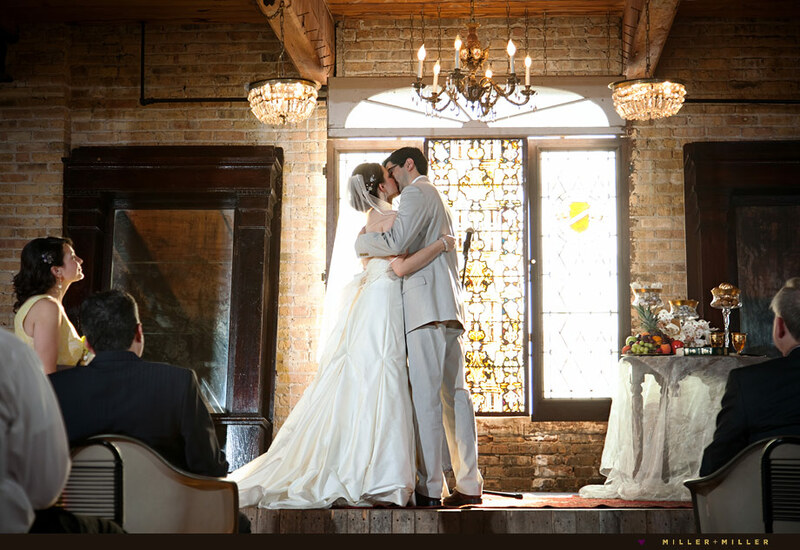 A beautiful and picture perfect setting for their matrimonial moments! 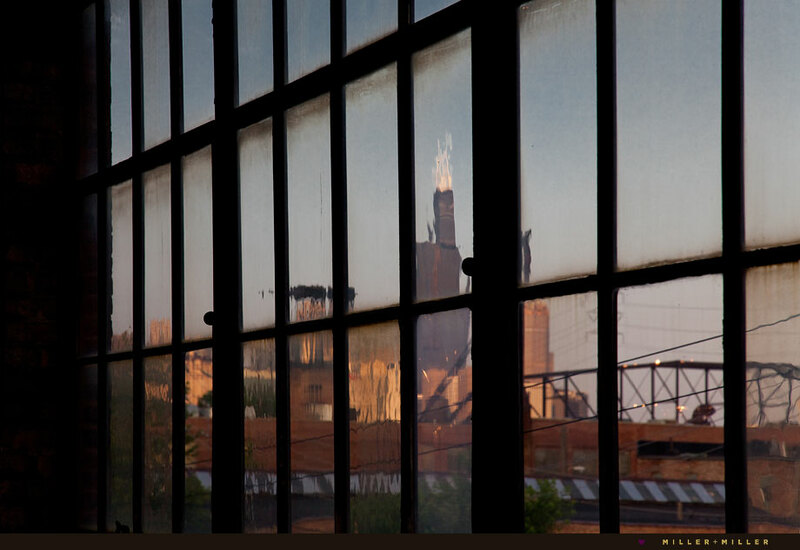 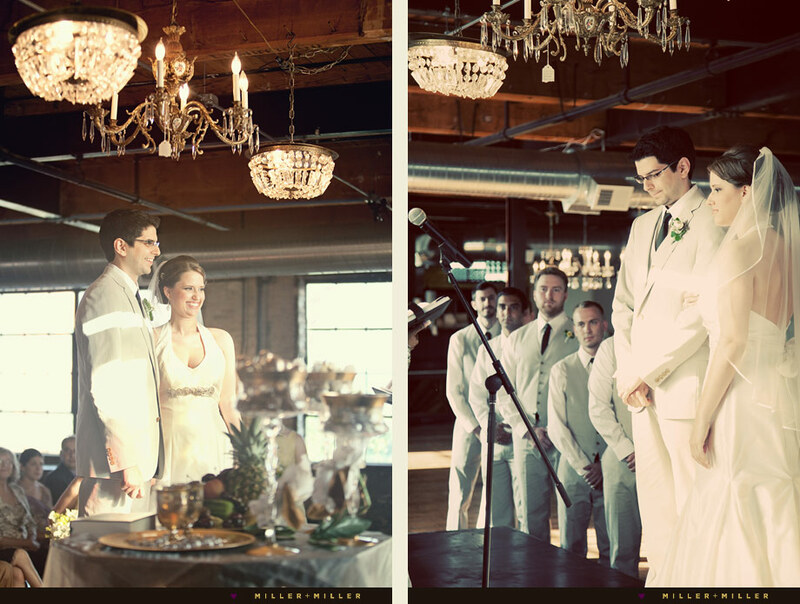 Salvage One served as the perfect vintage plus modern loft style Chicago wedding venue for S+J. 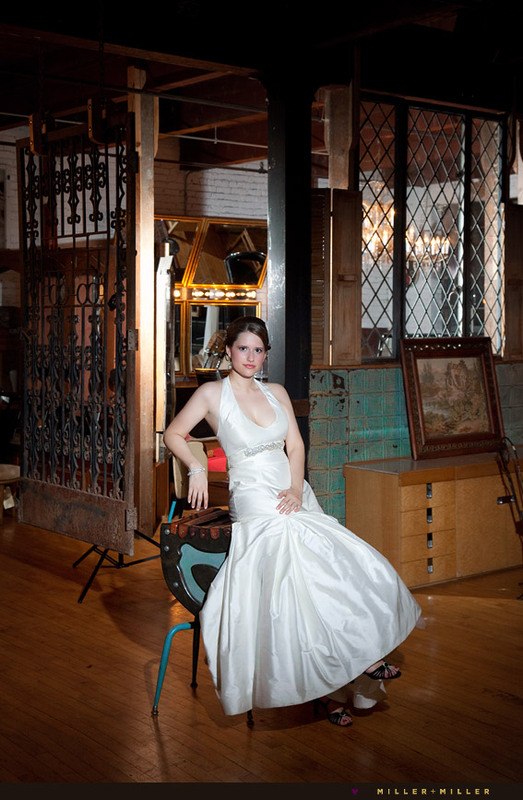 The venue provides the unique opportunity to utilize the store’s items for sale and architectural elements as backdrops, tables and chairs to define their own distinctive decorated wedding day style. 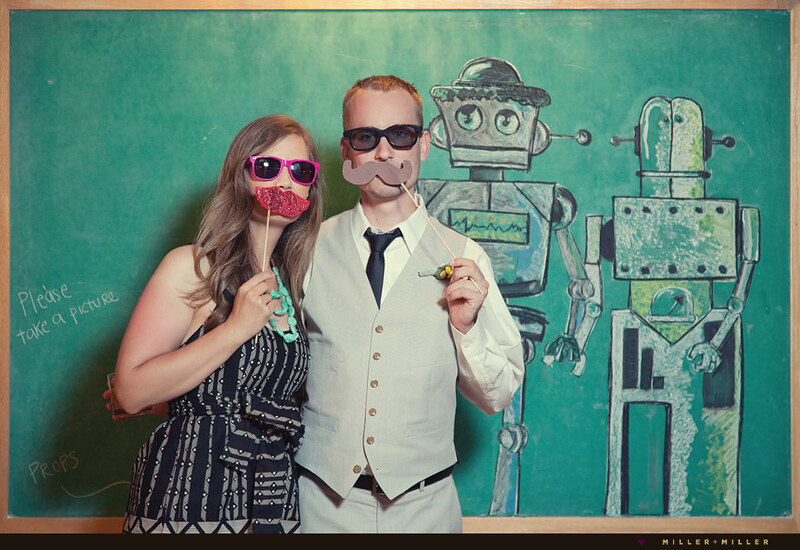 This worked well in catering to both Julia’s vintage interests and the science fiction interest of Shaun. 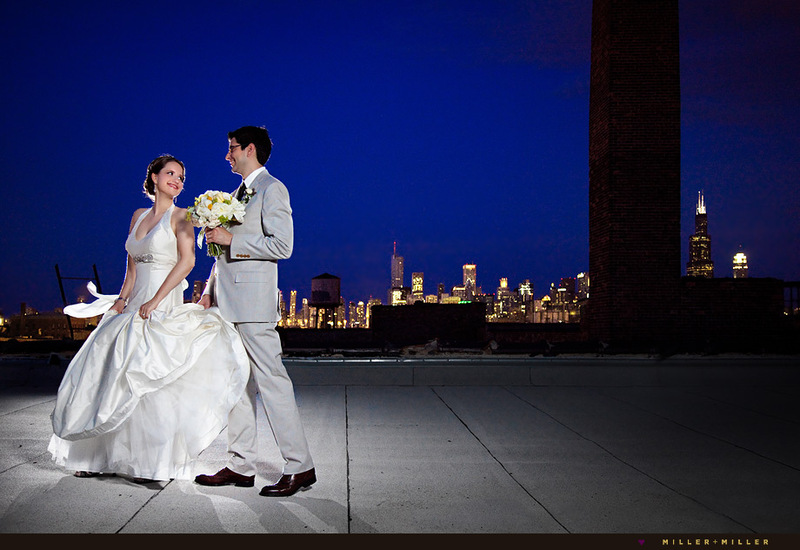 We loved shooting Chicago wedding photography at Salvage One one of the most unique chicago reception venue spaces. 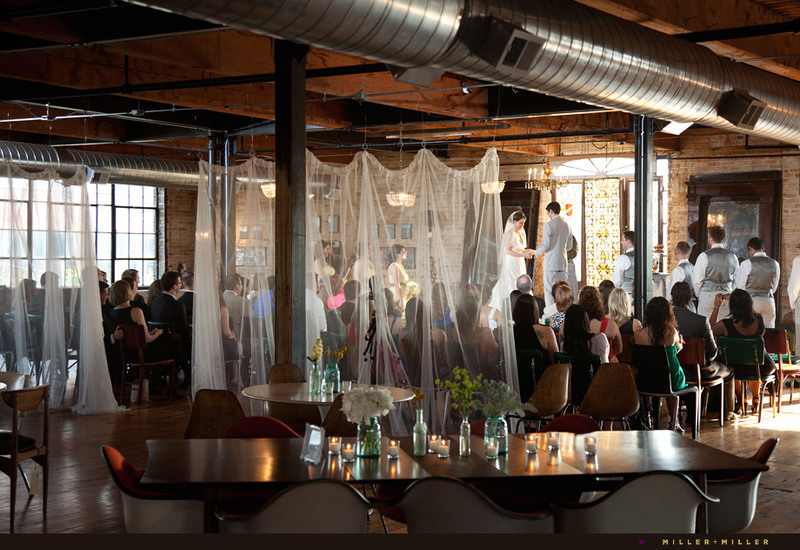 If you are a bride looking for a modern and vintage City wedding reception location, this vintage loft space offered S+J’s guests to move throughout two floors and with their inventory changing daily, we hear no two weddings are the same. 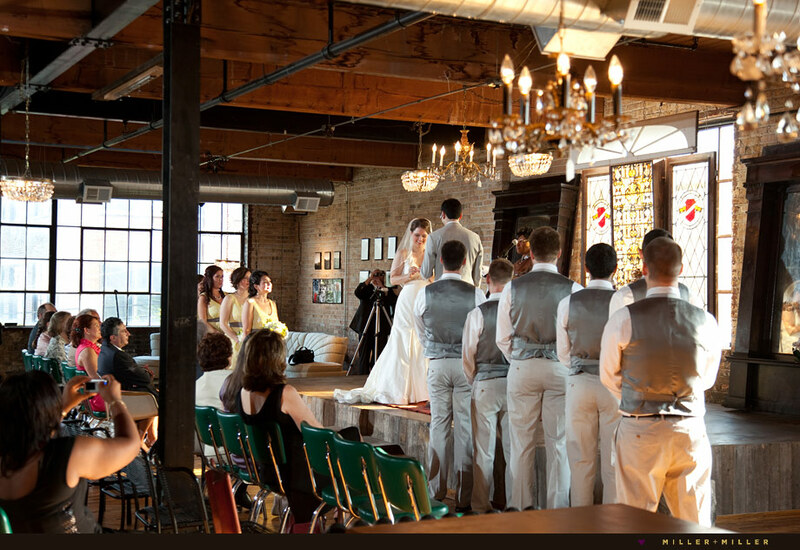 Salvage One also offers an outdoor bonus space with their tucked away, outside courtyard which is a great space for either a unique Chicago outdoor ceremony or a location for the cocktail hour. 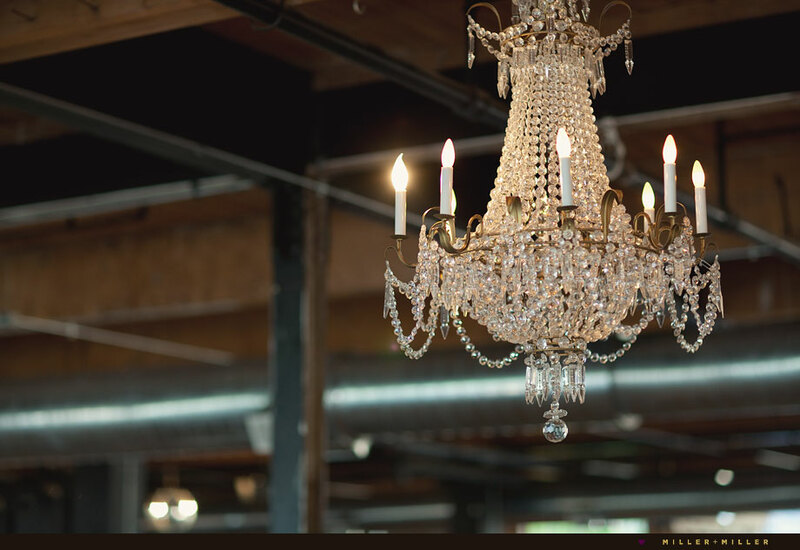 The decorated vintage theme was a mix of eclectic worldly with Persian inspired elements with lots of yellow + vintage items. 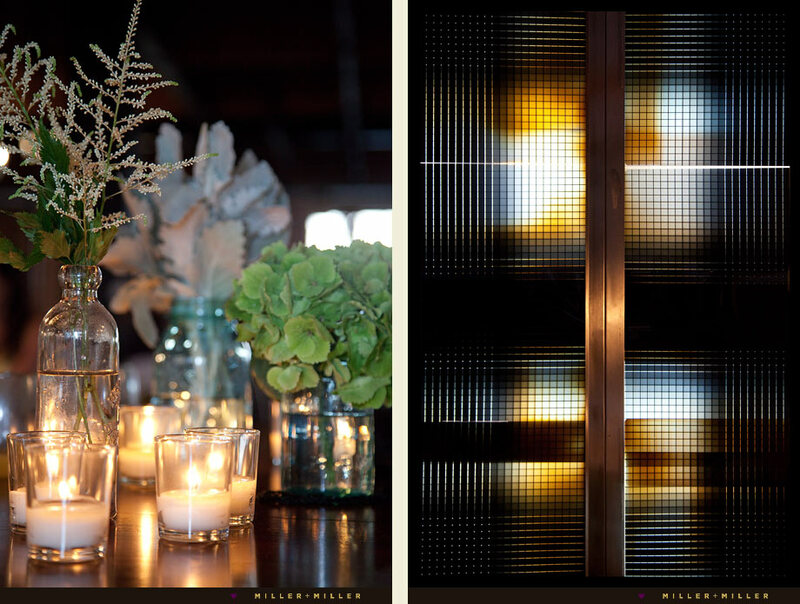 Julia + Shaun provided some of vintage details, but most of the concepts were pulled together by Lauren Le Pine of Ryan Alexander Events. 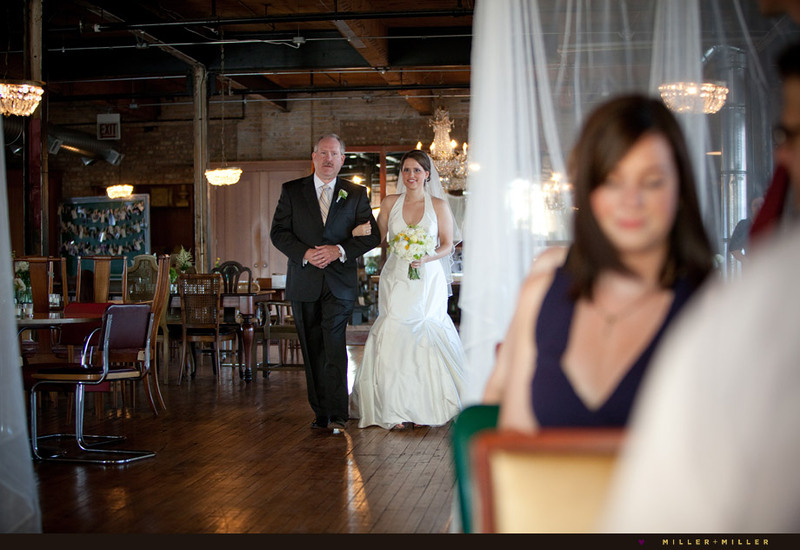 Lauren did an excellent job helping Shaun + Julia’s personalize the reception venue to their vintage styled wedding day tastes. 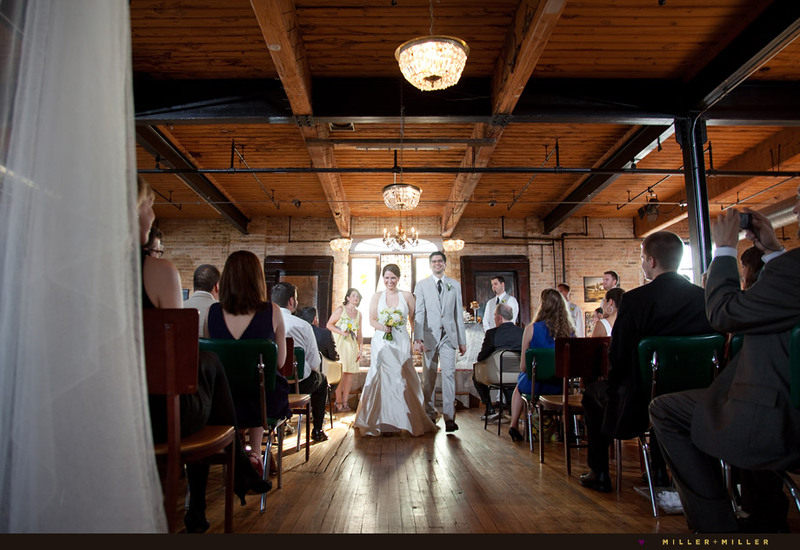 With S+J moving to Chicago a few years ago from their home state of North Carolina and being newer to the Chicago area, hiring a planner to fill in the raw Chicago loft space worked out very well. 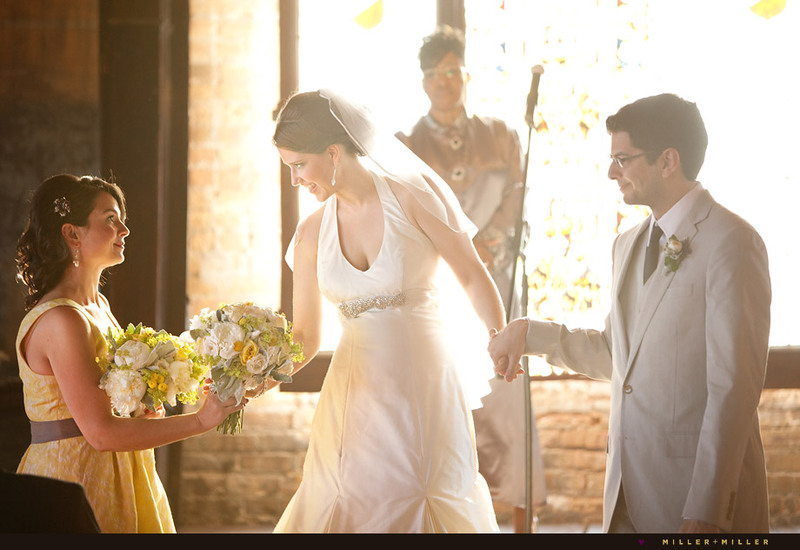 Lauren Le Pine of Ryan Alexander Events selected items in a variety of earth tones which complemented yellow, the primary wedding color. 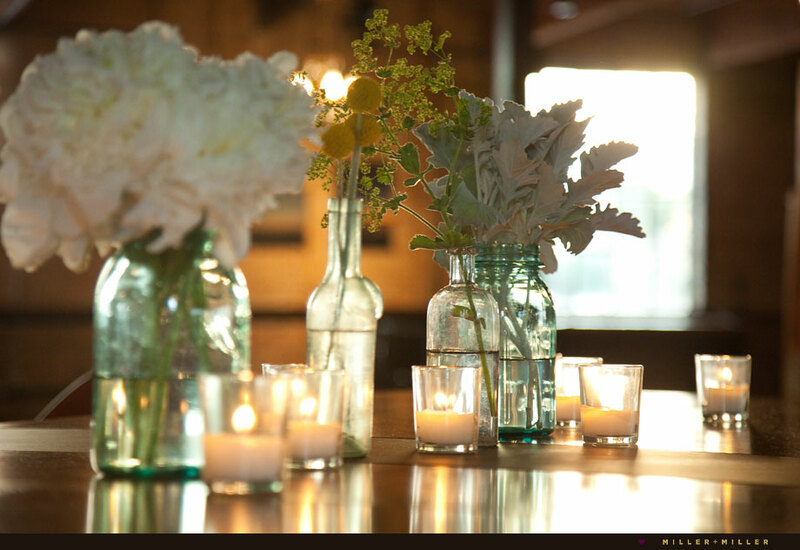 The table decor elements displayed beautiful floral and vintage items in shades of yellow, combined with earth tones of blues, greens, browns and subtle softer shades of grays and whites. 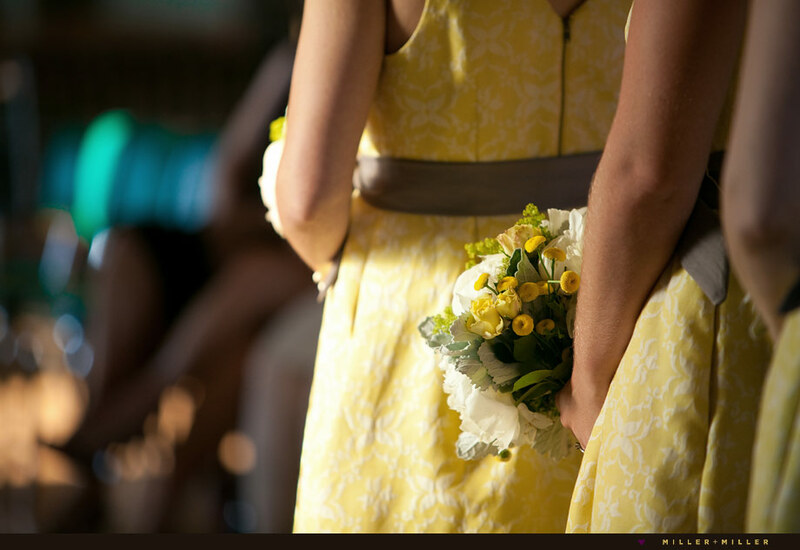 It was a refreshing color palette. 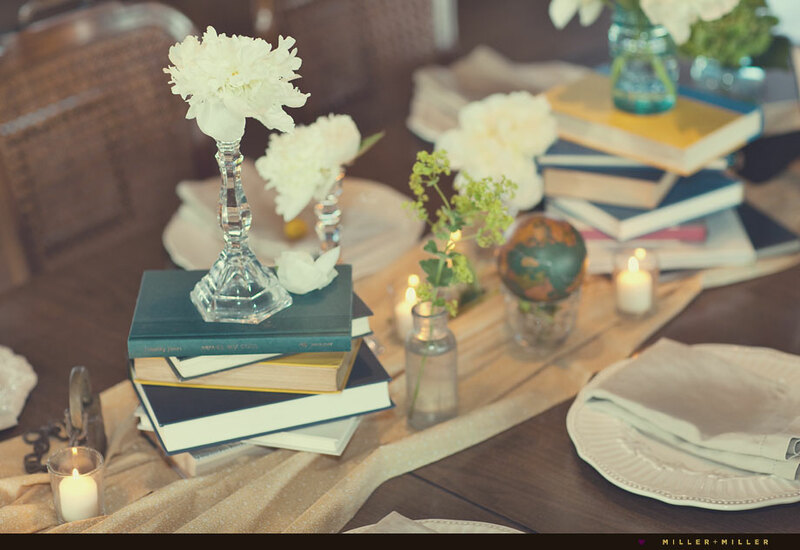 Finding tons of reception wedding photography details to shoot was an easy job with such a beautiful table displays! 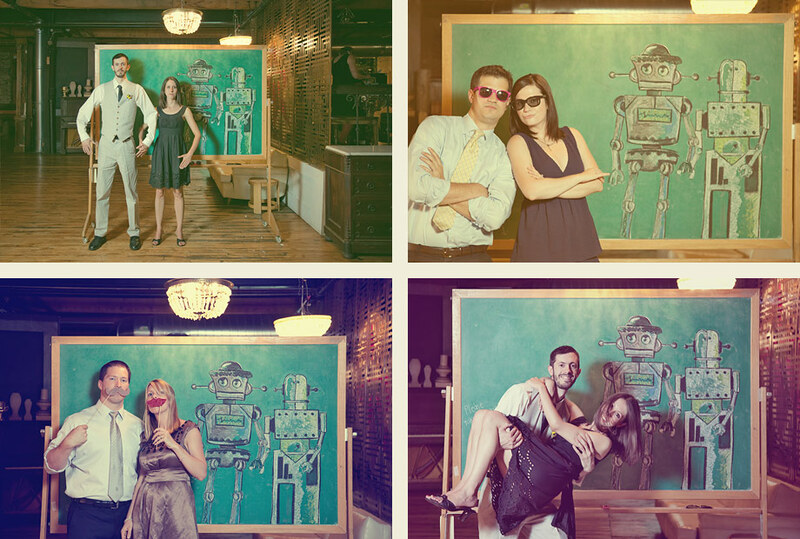 Lauren provided a little extra fun for the reception guests by setting up an “in prompt to” vintage wedding photo booth in front of a chalkboard with a hand drawn robot. 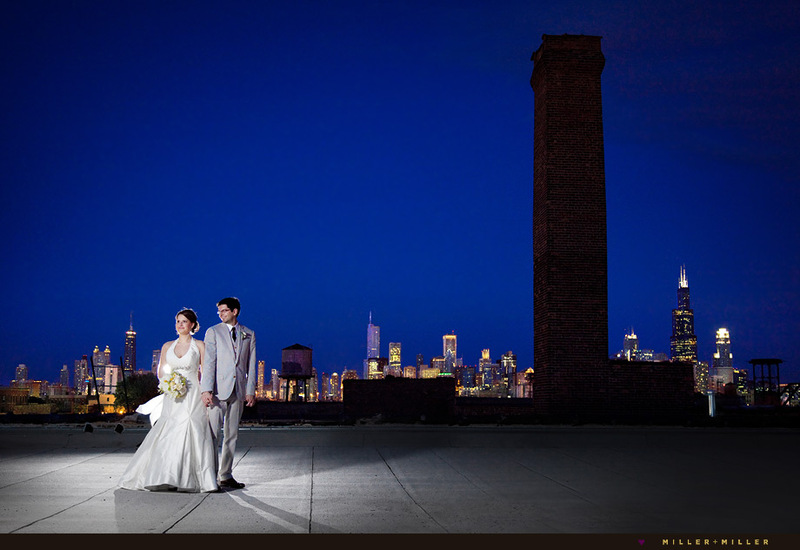 Bringing a little sci-fi touches to incorporate Shaun’s If you’re looking for a Chicago wedding planner, we highly recommend you check into Ryan Alexander Events. 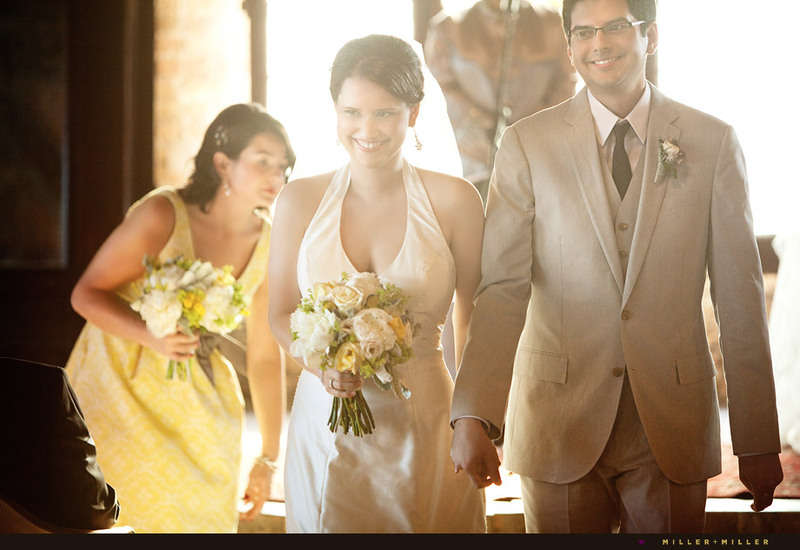 Shaun + Julia are the sweetest couple! 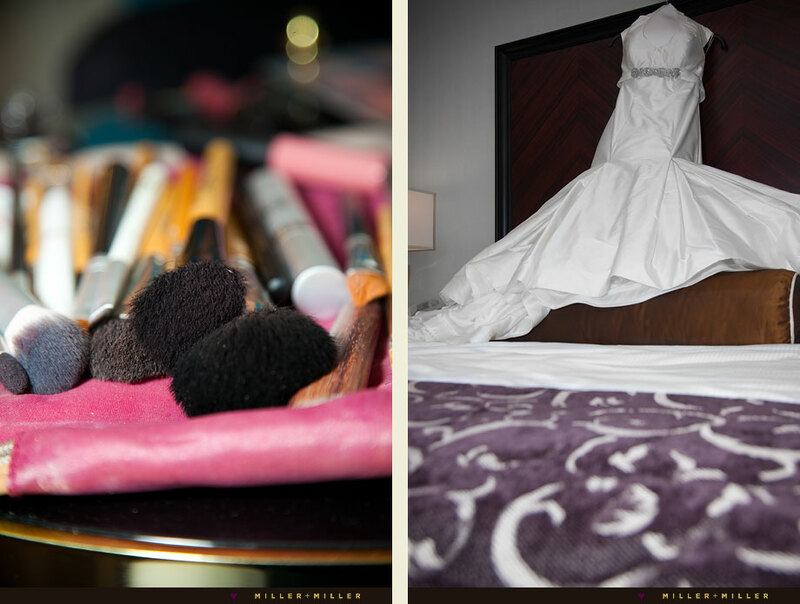 Both creative, they added a few personalized items to their wedding day. 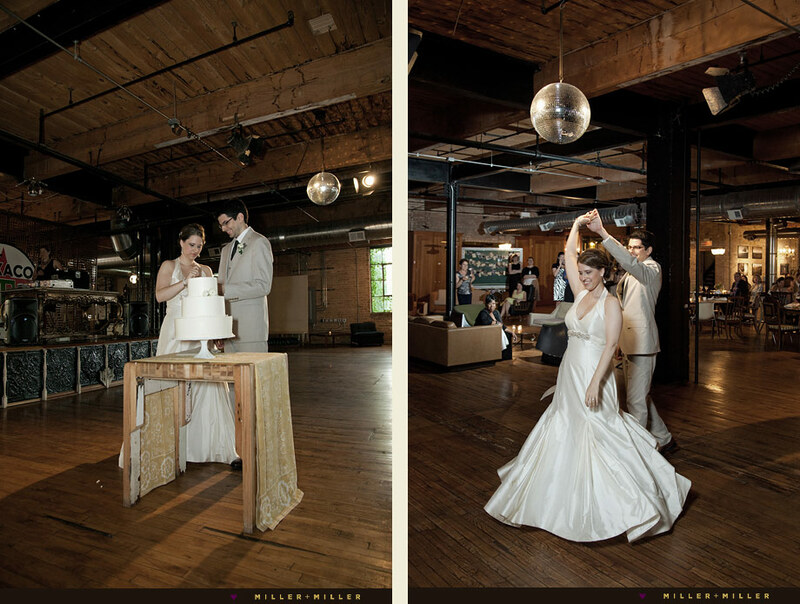 Julia is an artist in the kitchen… she prepared and baked her own wedding cake and the array of desserts for the wedding. 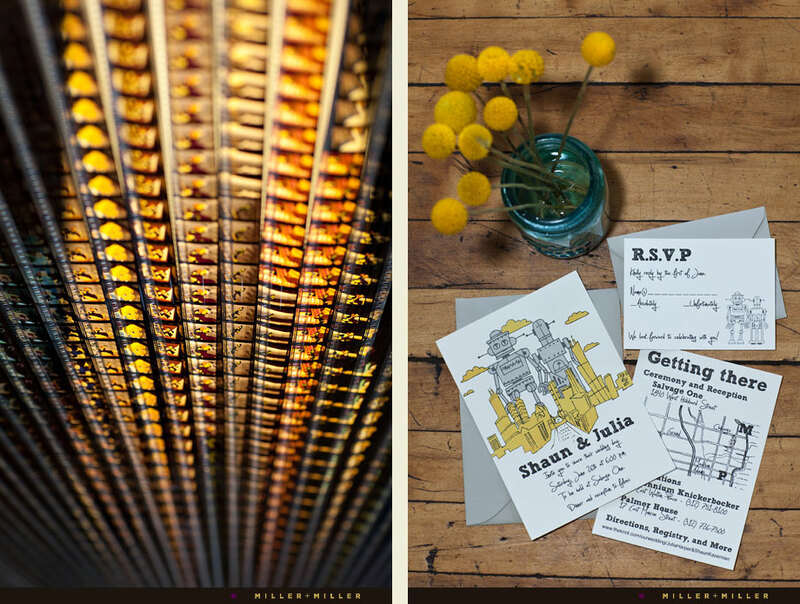 Shaun created their custom invitations adding a touch his sci-fi interests as a personalized robotic theme. 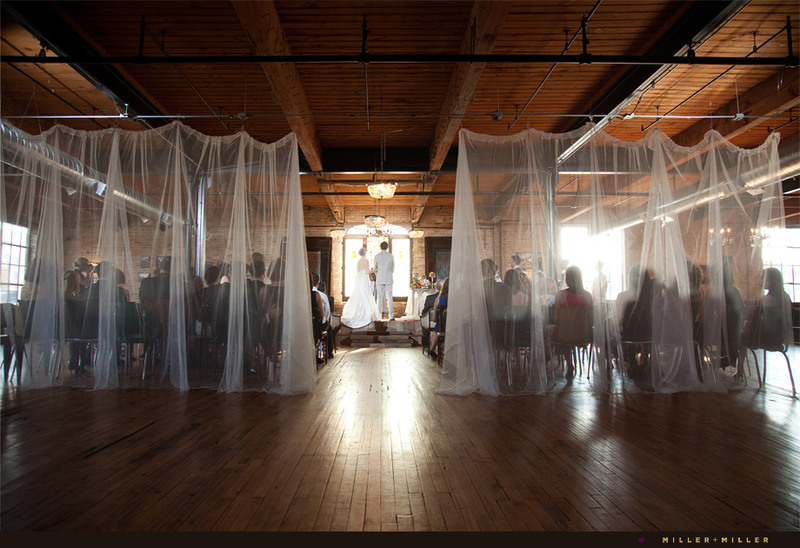 With under 100 guests, S+J’s reception was a fun and open atmosphere a bit dinner party like. 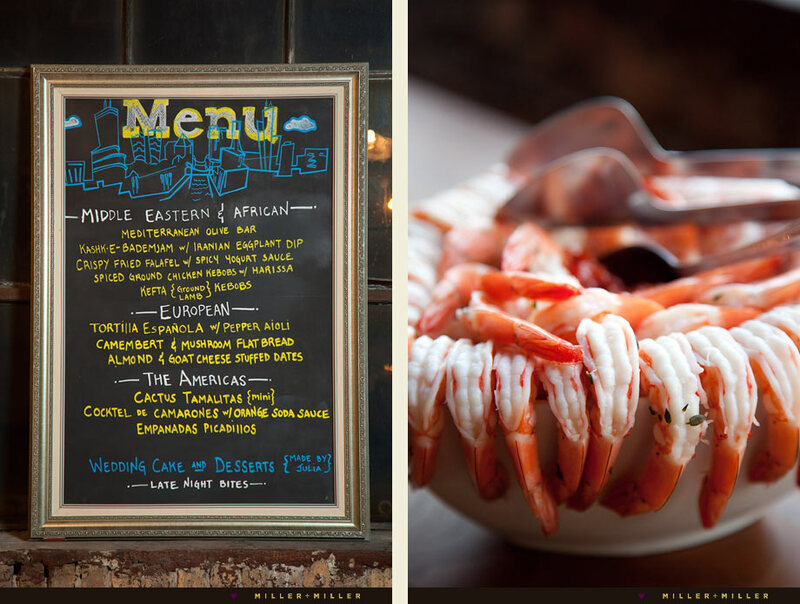 The music was great and the food delicious! 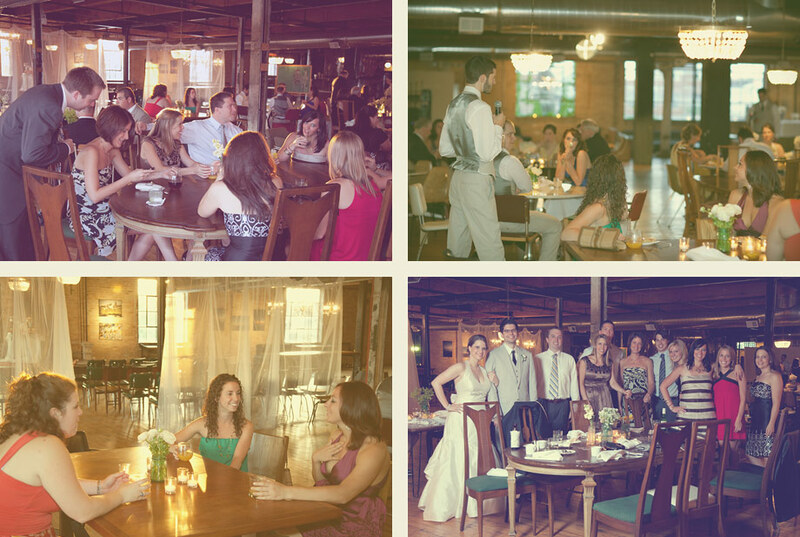 A buffet style and open seating, S+J offered heavy appetizers and h’orderves with various food stations. 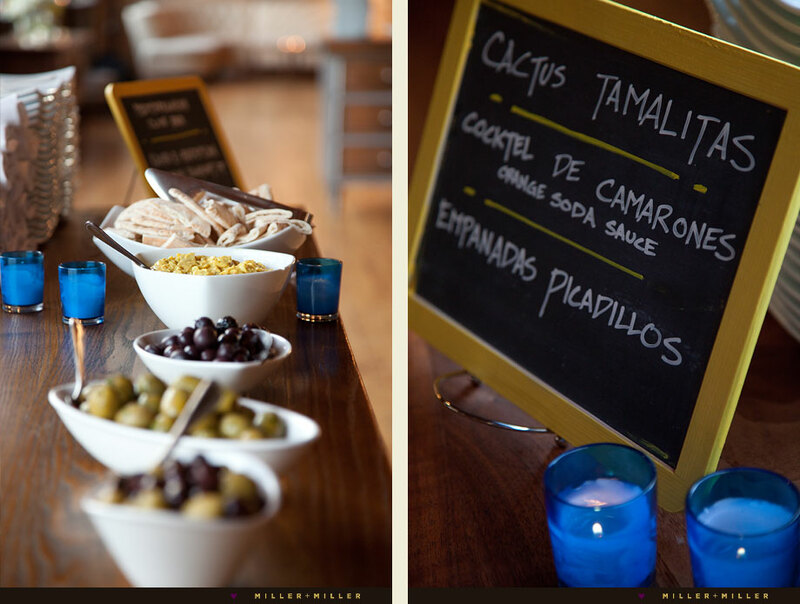 Signature dishes were provided by FIG Catering creating a mix of American, Middle Eastern and Latin American foods. 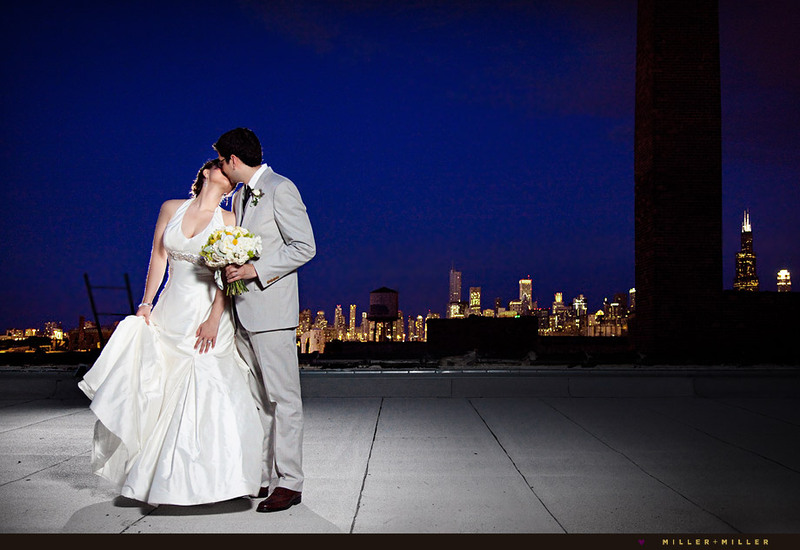 ♥ Revisit Julia + Shaun’s Chicago vintage engagement photography session where we spent the day into night capturing photos around downtown Chicago.